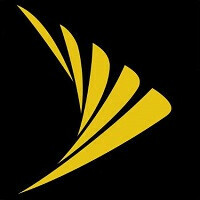 Maybe it was the 50% off deal announced in November that allows new Sprint customers to pay half of their previous bill with AT&T, Verizon or T-Mobile. Or perhaps it was Sprint's tri-band LTE Plus service that combines the attributes of a high-frequency, mid-frequency and low-frequency band into one strong cellular signal. Or it could just be that CEO Marcelo Claure carries a lucky rabbit foot in his back pocket. Whatever the reason, Sprint today reported an operating profit for fiscal 2016, its first in nine years. For fiscal 2016, which ended in March, the nation's fourth largest carrier reported an operating profit of $310 million. That topped Wall Street expectations for an operating profit of $100 million-$300 million. Sprint showed an amazing turnaround from last year when it was hemorrhaging red ink in reporting an operating loss of $1.9 billion. Due to an adjustment at Claure's Brightstar handset distribution company, annual revenues declined 7% to $32.2 billion. For the fiscal year, Sprint added 2.7 million new new subscribers with 1.2 billion of them added to the postpaid category. During the fiscal fourth quarter, Sprint added a net new 447,000 customers. 56,000 of them were postpaid subscribers, which failed to meet Wall Street's expectations of a 197,000 gain. Churn in the period was 1.72%, down from last year's 1.84%. It was the lowest churn figure ever reported by Sprint for its fiscal fourth quarter. Revenue during the three month period declined by 3%, mostly due to the previously mentioned adjustment with Brightstar's handset sourcing. At the end of the quarter, Sprint's LTE signal covered 300 million people in the U.S. The net loss for the quarter was 14 cents a share, which failed to meet analysts' estimate of a 13 cent a share loss. Sprint expects the improvement to continue next year as it expects to report operating profits of $1 billion to $1.5 billion for 2017. Investors have voted their approval for Sprint's achievement by tacking on 10 cents to the company's stock, or 3.01%, to $3.60. GOOD. Now use the money to get better phones and upgrade the network. The deals are great for getting in customers for the short term, but they need to continue improving the network to keep them. "Sprint added 1.2 billion of them added to the postpaid category." Wow! Sprint has done really well. Added 4 times the population of the US last year. No wonder they were profitable!